Coming to the decision to get a divorce from your spouse is never easy. Added to that, it’s sometimes feels challenging to tell your family and friends. Here are several ideas on how breaking the news to the important people in your life. Once this step is completed, you can breathe a sigh of relief and move forward with the necessary steps of dissolving a marriage. Your closest friends are likely the easiest group to share the news with. Often, your very close friends will be on your side and will mirror your feelings about it. If you’re happy to be getting divorced, they’ll be too. If you want to miss what you had, they’ll often be supportive and give you a shoulder to cry on. Telling mutual friends that you share with your spouse may be more difficult. Let mutual friends know that they don’t have to “choose sides” and that you’ll continue being friends with them even if they are still friends with your spouse. However, be careful about discussing your spouse or the divorce details with them if they still maintain a relationship with your spouse. You may be better off keeping things neutral with mutual friends. Aren’t critical of your spouse when you break the news. Don’t offer up reasons why the divorce is happening — make simple, factual statements. Don’t sound like you are questioning your decision. Present your stance firmly and let it be known that your mind is made up. Understand that your spouse’s family will likely support them. Even the closest in-laws can do an about-face when they learn about the divorce. Don’t expect to maintain a relationship with your in-laws. If you do, remain neutral when you interact with them and avoid talking about the divorce. 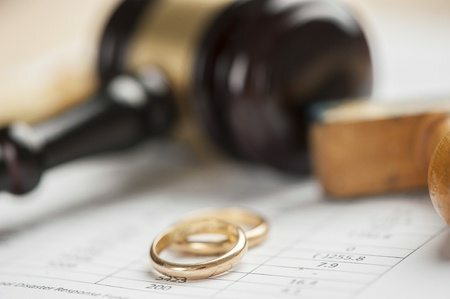 One of the questions that friends and family might ask is, “do you have a divorce lawyer?” It’s a good question and if you don’t have one yet, now is the time to get one. It’s important to get help going through the challenges of legal proceedings and sensitive issues like child support, child custody, and property division. Contact the Law Offices of Mary Katherine Brown today for a consultation by calling (718) 878-6886.